The latest version of Ubuntu just came out; Ubuntu 13.04 - Raring Ringtail. 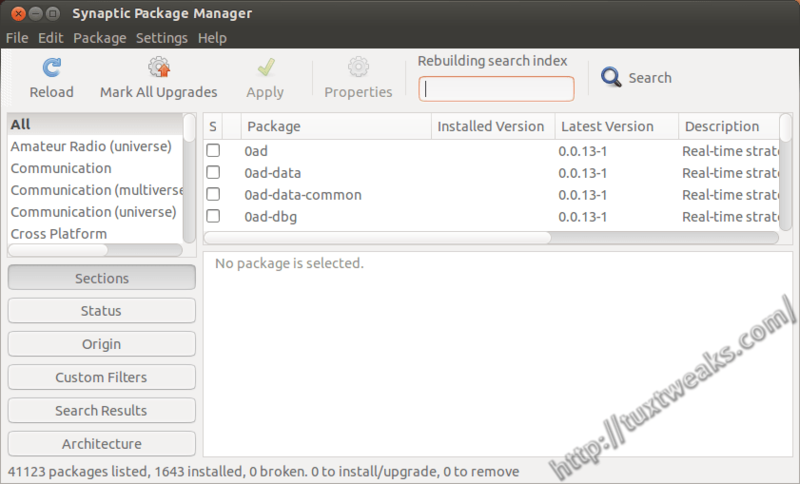 Canonical, the company behind Ubuntu Linux, has done a good job setting up a set of defaults for a fresh install, but there are a few things you may want to add or change on your freshly installed OS. You may want to adjust the privacy settings after you install Ubuntu. 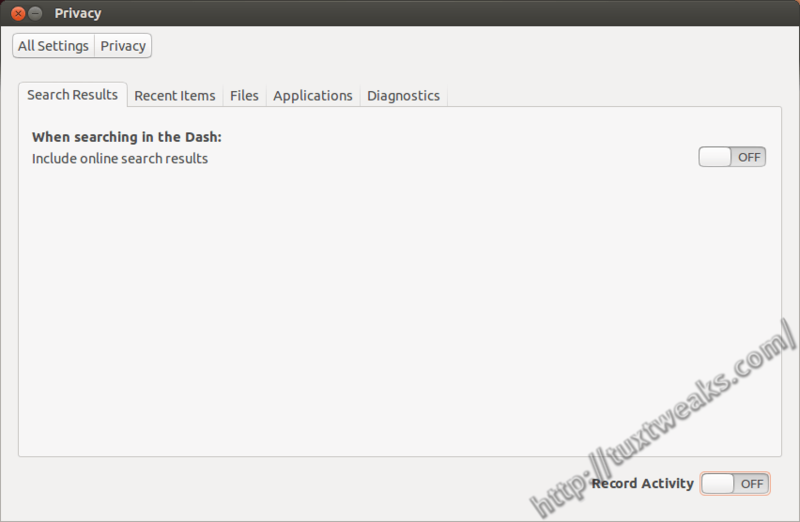 By default, Ubuntu provides online search results when you enter a search in the Dash. Each of these searches ends up running through Canonical's servers. It's a good idea to disable this function. Click the Settings icon on the Launcher (it's the icon with a gear and a wrench on it). Then click on Privacy in the System Settings window that comes up. From that menu, turn off "Include online search results" and "Record Activity". This one is somewhat redundant with the item above, but still seems to be a good idea to me. Once you've disabled online search results, you should see any items for sale from Amazon in your dash. I still prefer to remove that functionality. Open up a terminal window and enter the following command to remove the Amazon Shopping Lens from the Unity Dash. Log out and log back in and you shouldn't see search results from Amazon when you search the Dash. Unless you disabled online search results, you will however still see offers from Amazon in the Video Search section. This is a nice little tweak that will help you get your system updates from the fastest server. Server speed can vary based on your location and what route the data has to take to get to you. 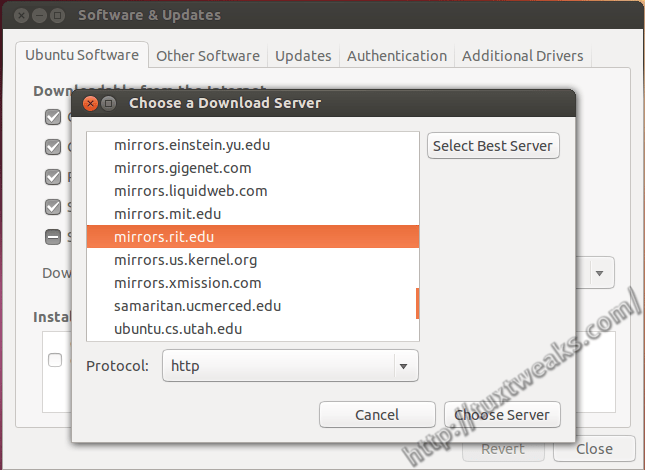 There's a utility in Ubuntu that will ping all of the available update servers and locate the fastest one for you. To access this tool, open up the System Settings again from the launcher and then double click on Software & Updates. From there, click on the drop-down for "Download from:", then select "Other...". On the next menu that pops up, click on "Select Best Server" and the utility will start searching for the fastest update server for you. Once it's done, it will highlight the fastest one and you just need to click on "Choose Server" to complete the task. Finally, click on "Close" in the Software & Updates menu. Once it's installed, you can launch it from the Dash. Most codecs you might need can be found in the ubuntu-restricted-extras package, but if you want to play encrypted DVD's, you'll need to install some packages from the Medibuntu repository. To enable the Medibuntu repository, you need to enter this long command into a terminal window. Well, that's it for my Ubuntu post install list. What other things do you like to install after a fresh build of Ubuntu? This content originally appeared at http://tuxtweaks.com/2013/04/6-things-to-do-after-installing-ubuntu-13-04/. I notice you didn't say Windows Vista, Windows 7, or Windows 8. Microsoft is about to pull the plug on XP, so I don't see much point in installing it. This just might be the dumbest troll comment I've ever seen. I have created a guide to installing Ubuntu 13.04 for new users to Ubuntu, and anyone who is having trouble installing or configuring Ubuntu 13.04 or troubles with Auto-mount. I looked through some of your info and that's a pretty nice guide you've put together. Good job! I did try OpenSuse before installing the Ubuntu and was rather underwhelmed. The lappy is an Asus dual core with DDR3 Ram, so it should be happy with the 12.1, and 13.4 when i get around to downloading it. Isn't it amazing what ya find in rubbish tips. The best way is to use minimal iso and use this code. sudo apt-get install ubuntu-desktop --no-install-recommends Now you can install what you want. Very useful. I love Ubuntu but don't know quite enough to keep it as a full time OS, but always keep a couple live usb's laying around. I'll make sure to come back once i get those upgraded. You forgot #7. reformat your drive and install OpenSuse. Look at Mageia or some other distro instead, OpenSuse has been part of M$ for a while. They signed the original deal in 2006 and renewed it in 2011. It only serves as a vehicle to try to legitimize paying M$ to use Linux and spreading M$ within Linux. It's not something you want to encourage, it only hurts Free and Open Source Software. Why bother installing Ubuntu at all when you want OpenSuse? ... SuSe? Ahhh no, thanks!!! Btw, your picture suites your comment.